Need a new microwave installed? SJS Handyman is here to help. 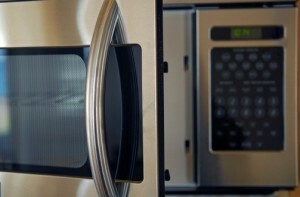 We can replace your old microwave with a new one in no time at all. Whether you need to have an old microwave replaced with a new one or if you just need a new microwave installed, SJS Handyman installs microwaves as well as all other appliances right here in San Marcos. We’ve been doing it for years! Don’t just hire anyone to install your microwave, hire a professional right here in San Marcos like SJS Handyman. We focus on providing our professional handyman services to San Marcos so we can keep customer service at it’s highest level and provide our services at the lowest price possible. We can also respond to your needs as quickly as possible. We’d love to provide you with a free quote to install your microwave. We can also remove the old one and dispose of it if you wish. Please call us at 760-580-5224 or submit a free quote request using the form on this page. We’re looking forward to serving you!